Discover the delicious and multi-regional cuisine of China without leaving Chicago. 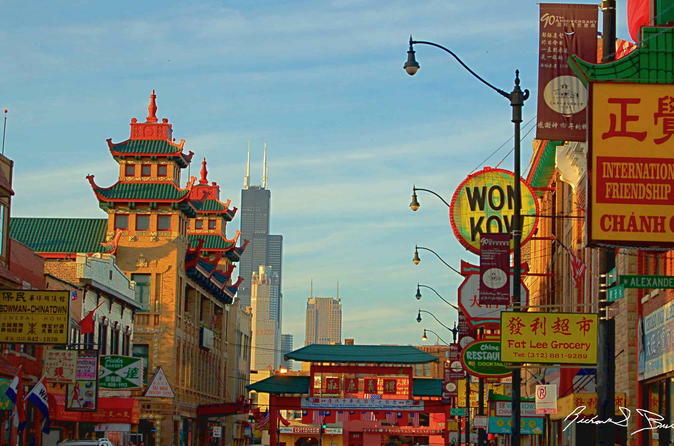 With a 3-hour guided walking tour, explore the complex layers of Chinese culture and its extensive contribution to both Chicago and the world. Remove language barriers through food and sample your way through a variety of Chinatown's best restaurants and well-kept secrets. Tour includes all food and drink samples and is conducted in a shared group. Meet your guide just steps from the iconic Chinatown gate to begin your tour. First, start with some yummy dim sum dumplings. Next, try a unique and delicious spicy meat sandwich from the Xi'an region. Then stroll through charming Chinatown Square with its ethnic grocery stores and souvenir shops. Sample succulent Beijing duck followed by the famous Szechuan hot pot. Next, it's time for dessert: buttery custard tarts from Chinatown's oldest bakery. After dessert, refresh and rejuvenate with traditional Chinese tea. You'll explore numerous regions of China by way of your palate, but only have walked a few blocks on this delicious tour of one of Chicago's most fascinating neighborhoods. This is a shared tour; your group will be accompanied by other parties. Tour ends at the same location as departure at approximately 7pm.